I have recently become frustrated with Adobe Bridge's inability to automatically tag photos with the locations in which they were taken from GPX files (location data imported from an external device). Lightroom can do it in a breeze, but I myself dislike using it for cataloging my photos. Maybe Adobe wants us to pay for that luxury (Bridge is free for anyone to use without a Creative Cloud plan)? But I have done some digging, and I found a fellow photographer Yegor Korzh, based in Australia who has written a seemingly simple, yet amazing plug-in for Adobe Bridge that allows you to do just that! Below is an excerpt from his own website. Just follow this link to read more about it and download it! This script adds geotagging functionality to Adobe Bridge. 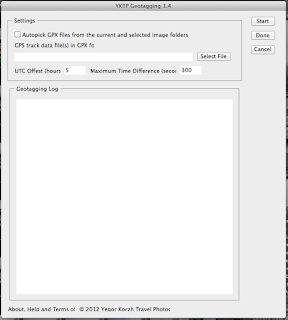 As many other geotagging tools it correlates GPS trackpoint timestamps from supplied GPX track file with EXIF Create Date field from your images and then adds matching GPS coordinates to image metadata. Script supports image folders. Software which I used before, couldn’t do that. Script also supports multiple GPX files. Same as in previous point, I couldn’t do it before I developed this script. It does just geotagging, that’s it, nothing else. Most of other tools are doing too much by default (creating Google maps, thumbnails and etc). I’m tired of constantly disabling features, which I never use.